January 31st, is "Inspire Your Heart with Art" Day around the globe .It is a day that celebrates the arts and the effect art can have on your heart. 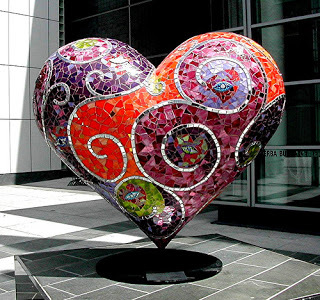 Artwork can awaken and inspire many feelings and emotions like this mosaic sculpture by artist Laurel True. Use today to find art that inspires you to lead a more creative life! ← Sculpture in the Snow!